A dumb bee is less likely to survive. Bees learn how to gather nectar from other bees. But new research shows that pesticides can impact the insects' ability to learn and remember. Honeybees are among the smartest animals in the world, even with all the caveats that go with trying to measure animal intelligence. They have a symbolic language system for communicating the location and quality of nectar sources, something, not even the great apes have developed, and have shown the ability to learn and remember what they’ve learned. But new research from the Royal Holloway Institute of London shows that pesticides have a significant negative impact on a bee’s ability to learn and remember. The research tested both neonicotinoid pesticides (which have been repeatedly linked to reproductive issues in bees) and non-neonicotinoids. 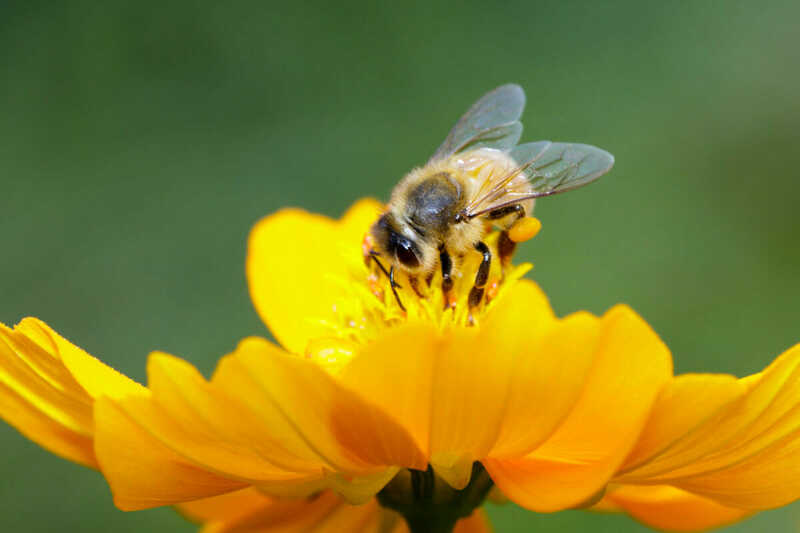 This particular survey collects lots of other studies in which bees that have been exposed to different levels of a variety of pesticides were tasked with completing floral scent tasks. Bees are generalists; they can get food from all sorts of different plants, all of which have different requirements for getting the nectar out. Bees aren’t born knowing which plants are good or how to make the best use of them, instead, learning from other bees and remembering what they’ve learned. There’s lots of research about just how good bees are at sourcing nectar; they can judge distances, learn new gathering techniques (like, say, biting through a particularly long flower to get at the nectar), and have to remember their finds so they can communicate this vital information to the rest of the hive. Bees that can’t remember or learn properly aren’t just dumber; they’re potentially at a gigantic risk of not surviving, period. The survey makes it a point that even doses that are considered moderate or light can negatively affect intelligence in ways that are more subtle but just as harmful. “Our findings, therefore, highlight the need for policymakers and regulators to increasingly consider the sub-lethal impacts of insecticides on important pollinators such as bees,” writes Harry Siviter, one of the authors of the study, in a press release.